There is no shortage of examples of the examination of grief and loss in film. Following in the tradition of quiet, introspective films examining parents’ lives after the loss of the child such as Manchester by the Sea, Rabbit Hole, and In the Bedroom, PBS’ The Child in Time, an adaptation of Ian McEwan’s 1987 bestselling novel, is the newest film to tackle this gut wrenching subject matter. Adapted for the screen by Stephen Butchard and directed by Julian Farino, the film provides a glimpse into the daily life of a children’s book author whose young daughter disappeared while in his care. While the non-linear time line may be hard to follow at first, and slightly slow moving throughout, Butchard’s script gives these fantastic actors space to spread their wings, and showcase their talents while portraying the multi-layered trauma of losing a child. Stars Benedict Cumberbatch (Sherlock, The Imitation Game) and Kelly Macdonald (Boardwalk Empire, Gosford Park) both give incredibly real, raw performances. 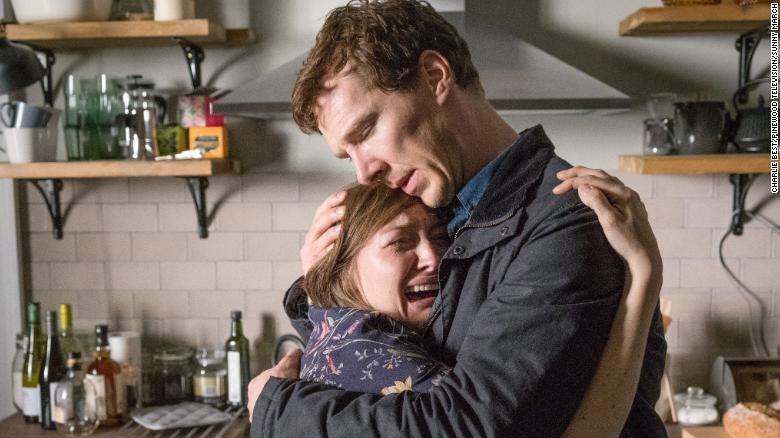 Cumberbatch’s turn is especially moving; aided by the non-linear presentation of the events leading to and following the disappearance of his daughter, each scene is a new revelation and a new stage of grief. During one scene in particular, the viewer’s emotions echo Cumberbatch’s, progressing from slight concern to full out panic. This scene is so well acted and so realistic that it causes a visceral, sick reaction in the viewer. Macdonald’s performance is not to be undersold, either. The war her character has raging inside of her regarding her feelings about her husband and the loss of their daughter is so understandable and relatable, it’s truly heart breaking. 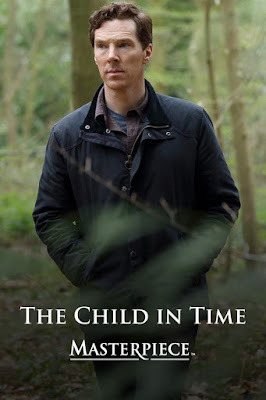 Perhaps The Child in Time’s biggest success as an adaptation is its lack of melodrama paired with the fluctuating timeline. The film is quiet and emotional and true and the jumps through time seem to mimic the disorientation one can imagine being present after the loss of the child; playing the emotions straight instead of chewing scenery is clearly the right choice. Also worth noting is the sound design. The soundtrack and ambient noises rise and fall depending where the characters are, emotionally, in the scene. Outside noises and background sounds get louder the more confused and desolate the characters become, which allows the audience to sink deeper into the world inhabited by the characters. While no adaptation is a perfect clone of the source material, Butchard’s script, Farino’s direction and the award worthy performances of Cumberbatch and Macdonald combine to create an ambling, nuanced, devastating portrait of grief and loss. Showcasing not only the different ways people address grief, but how grief can grow, over time, into its own entity and insert itself permanently into the lives of those who have lost. The writing and production of this film elevate it, though, the real scene stealers here are the film’s stars. For any viewers looking to purge some excess emotion, this film will do the trick in spades.